Happy weekend, guys!! And most importantly, Happy Friday 13th! We absolutely love Halloween in our family, so a Friday 13th in October is basically another day to celebrate the holiday. It's like THE ultimate day for a scary movie night, right?! Naturally I have some Halloween picks for you guys today. The first is one of my favorite things for Halloween decor - a skull. Either one pictured above is perfect for a spooky Halloween centerpiece. It's hard to say which is my favorite. 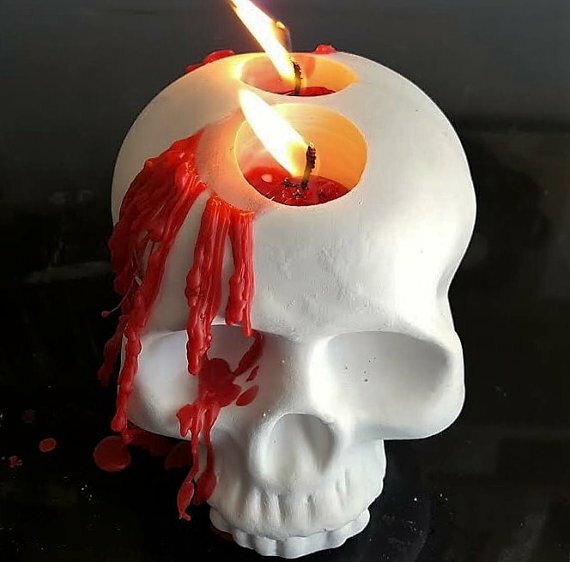 I love how the first skull candle holder looks with the red candle dripping down, though I also love that the Plaster Skull is hollowed out to accommodate a small candle. 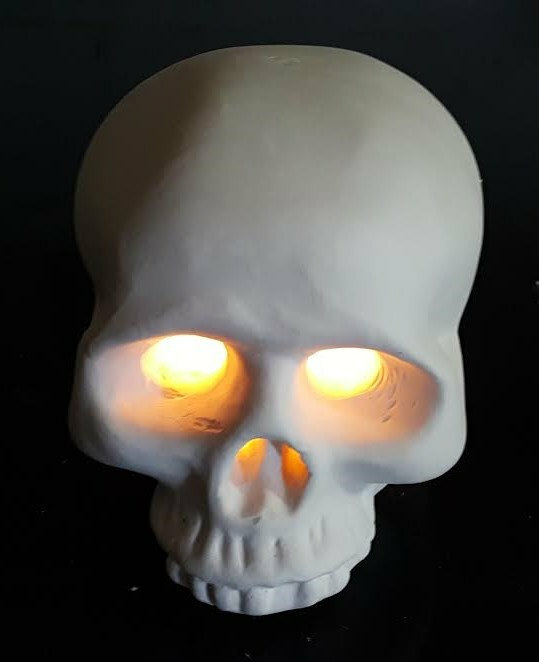 It gives such a cool glowing effect to the skull. Check out more skull-themed Halloween decor at Inspired Ornamental! Also for today's finds I'm happy to finally have more fashion items featured! One of my favorite accessories for fall is a great blanket scarf, and my favorite print just happens to be buffalo plaid. 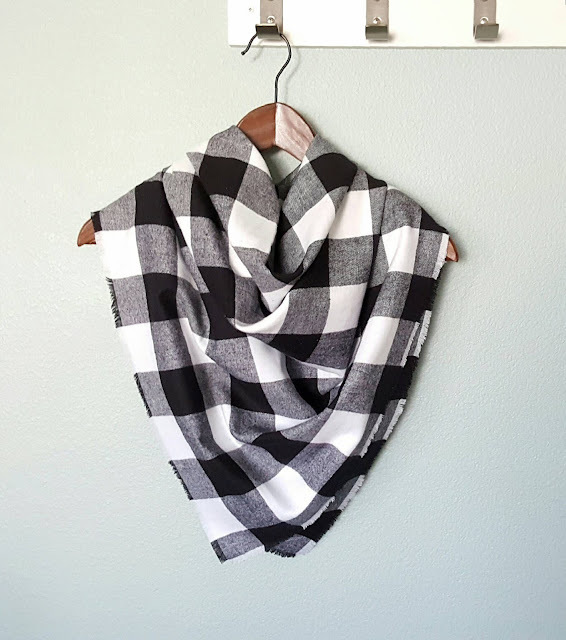 How great is this black and white buffalo plaid Blanket Scarf by Holly Jane Originals? There are many different plaid designs in her shop that I'd love to have, as well as a red and black buffalo plaid flannel cosmetics/ travel bag and some very cozy-looking plaid flannel throw blankets. And just for my Friday Finds readers, you get to take 10% off your purchase at Holly Jane Originals with the coupon code: FALL10, so it's time to stock up on Fall flannels! And didn't I promise a crazy amount of candles between fall and new year? It's just the perfect time to cozy up and light a yummy scented candle, isn't it? My idea of the perfect night in involves snuggling with my love, watching a good movie, sipping on hot cocoa, with the flickering of a beautiful candle. For Halloween, this Harvest Moon candle is perfect. 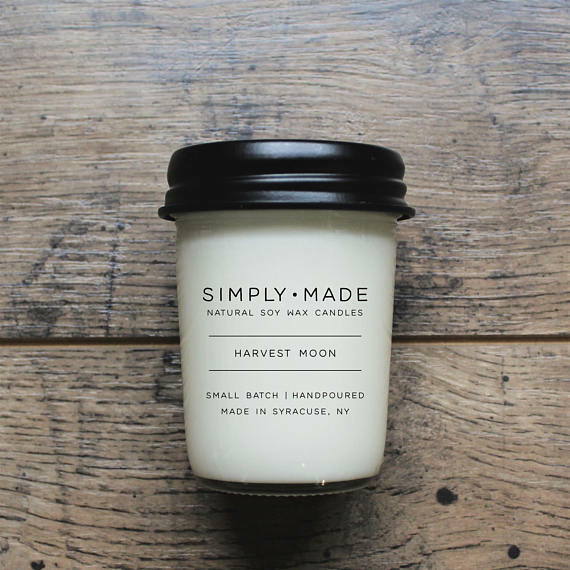 Though Simply Made Candles has so many other amazing Autumn and holiday scents; like Brown Sugar Pumpkin, Falling Leaves, Apple Cider Donut, and Wool Sweater. See their full line of fall scents and use coupon code LUCKY13 to save 13% on any orders from Friday through Monday (10/13 - 10/16). And speaking of cozy, I've been wanting to feature one of these chunky giant knit merino wool blankets for a long time. 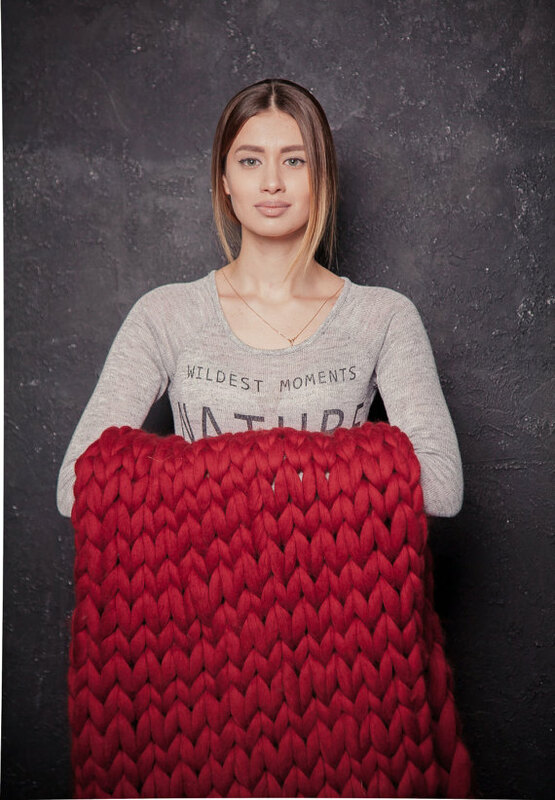 At Nata Home & Fashion, you can get one of these super soft and cozy knit throws in many different colors. What I really loved about this particular shop is they carry more than just the blankets. They also make pet bedding and knit pillows. And if you want to make your own, you can purchase chunky wool yarn for arm knitting! What would you make with this beautiful chunky wool? Still on the theme of cozy, what is better than a comfy hoodie when you're chilling on the couch? I have been a long-time fan of Hocus Pocus. I watch it every year in October, and it would seem I'm not the only one, as I'm suddenly seeing products everywhere with quotes from the movie on them. 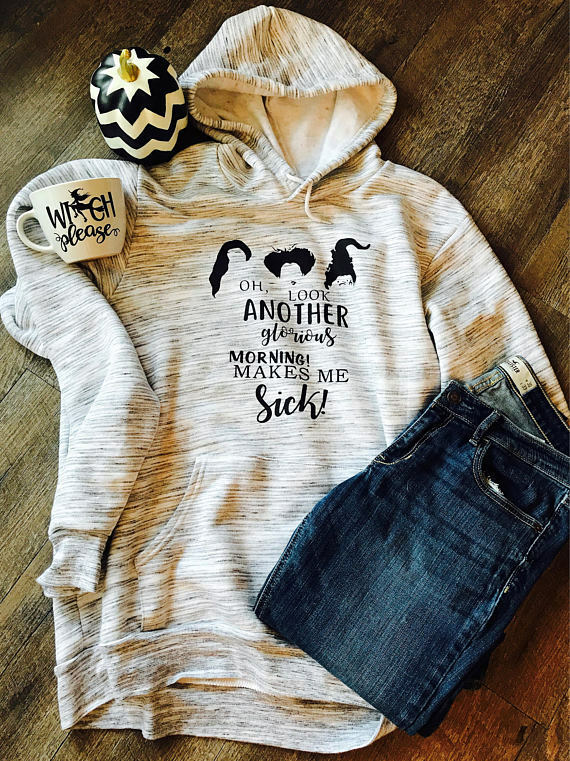 This super cute Hocuc Pocus hoodie by MAVICTORIA is also available as a tee. And now is the time to check out all of the other cute Autumn-themed tees at MAVICTORIA, because there is a site-wide 20% off sale! If any of you are planning a Halloween party, you'll definitely want to check out this shop. The Halloween Party Set at The Vintage Event makes decorating so quick and easy! It comes with a banner, confetti, cupcake toppers, and cupcake liners. Add a few festive treats and you're all set! 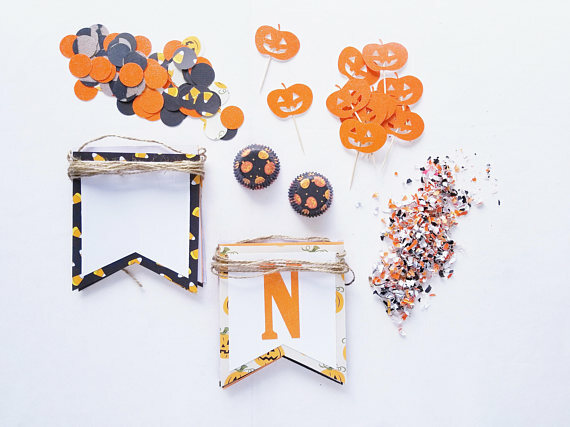 The Halloween supplies and kits come in several different designs, so you're sure to find one you love. Check out all of the Halloween and Autumn party supplies currently available and ready-to-ship at The Vintage Event! 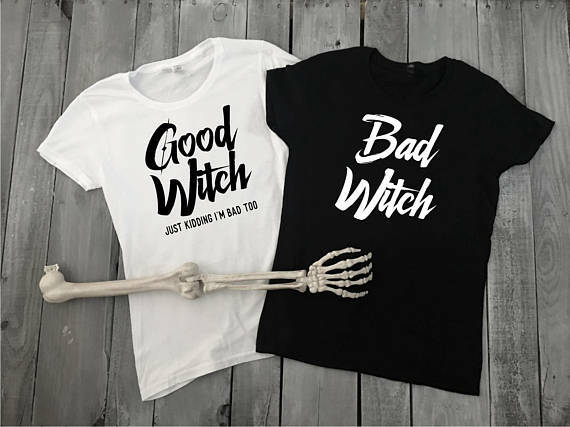 For the perfect thing to wear to a Halloween party, if you don't want to wear a full costume, or if you need something last-minute are these Good Witch, Bad Witch Halloween Tees by Create and Ship! You'll find a lot of other great products at Create and Ship; like mugs, totes, wall decals, and more. But there are so many other great Halloween deigns, you're going to want to see all of their holiday tees. Enjoy 10% off any item for the month of October! 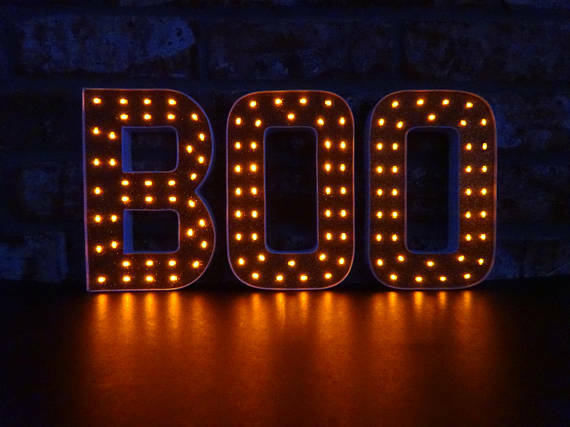 For some last-minute Halloween decor that will make a big statement, try this Halloween "BOO" light-up marquee sign by All Lit Up Inside. You can choose between three different colors (black, purple, or orange) for both the background and the light colors. I love how the orange lights look against the black letters! Which one would you choose? They come in different sizes and are lightweight, so you can hang them on your wall. I love how they're all cordless! I'm thinking I would spell out "coffee" for some kitchen decor. Well, I hope you guys enjoyed each and every one of these shops. How could you not, after all. You can use the links below to browse each one and get some seasonal inspo. Don't forget to take advantage of the sales and coupon codes!! Happy Friday the 13th! I love all of your picks, that big chunky blanket is calling my name! Thanks, Elise! :) Happy Friday 13th to you too! Totally love these Krisztina!! That super thick blanket intrigues me since I'm a knitter!! Awesome finds! I love the plaid blanket scarf and the chunky knit blanket! I'm all about cozy things lately! Me too! I really love the plaid and the chunky knits this season! I've been wanting a chunky knit blanket like that!! Looks insanely soft! Me too!! I love those chunky blankets!